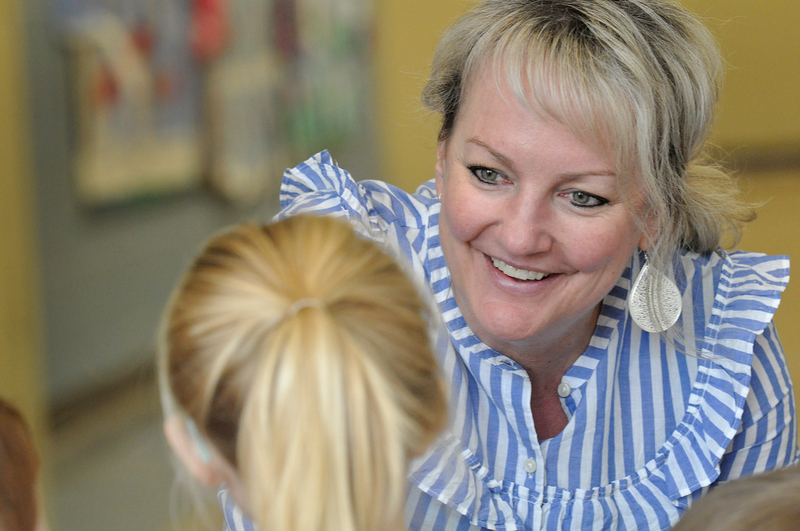 Liz Landon, the principal at Oak Grove Elementary School, knows the importance of giving kids tools to build resilience so they can overcome poverty, homelessness, drug use in the family, and a rash of other complications that crowd the halls of the school. The adult connections she made during her own traumatic childhood gave her tools that enabled her to be the first person in her family to attend college and ultimately become an educator dedicated to creating a safe space where kids can come to love learning. That’s why she welcomed a program to bring La Clinica wellness coach Ginny Miller to teach mindfulness to first graders in the spring of 2018. She put the mindfulness training in place in classrooms where she knew students and teachers needed extra support. 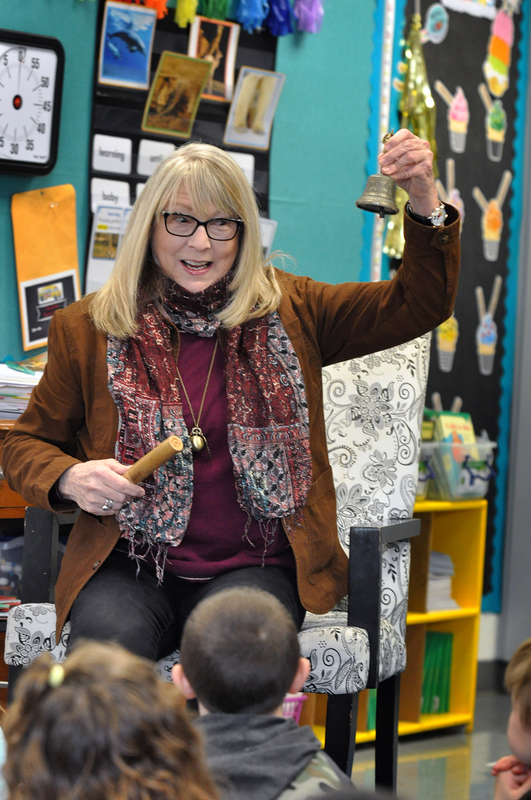 The program now includes two first-grade classes, a second-grade class, and one kindergarten class at Oak Grove and will expand to Jackson Elementary this spring. It also has broadened to provide training for teachers, a step Landon likens to putting on their own oxygen masks so they can help others. “In the classroom, we are winning the argument that mindfulness training takes instructional time by showing that we are gaining instructional time because everyone is mentally and physically present and their brains are ready to learn,” Landon said. She is also seeing examples of how the mindfulness training’s simple breathing techniques to manage emotions and better understanding of brain function ripple outside the classroom to transform lives. 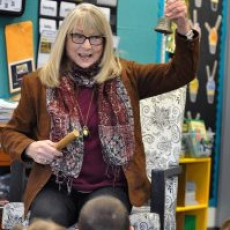 She knew one first grade student was struggling after the death of a beloved grandparent forced his family to move while also coping with his parents’ divorce. When she asked how he was doing, he told her that repeating the mindfulness exercises he learned in class each night at bedtime helped him forget his stress and go to sleep. “It beautifully aligns with my philosophy that it is easier to raise a healthy child than to fix a broken adult,” Landon said.